Our Signature Luxury Pool Tables range is entirely exclusive to us. Each table has been carefully designed to meet specific requirements, based on customer feedback. Our Signature Luxury Pool Tables range has been created in response to input from our customers on what they really want in a pool table, giving you a beautiful choice of luxury pool tables. Our Signature Luxury Pool Tables incorporate an amazing range of finishes and styles, and can be fitted with a fantastic variety of cloths to suit any environment. We have chosen tables that can be customised to fit your needs while still retaining their unique styles. This range incorporates an amazing range of finishes and styles, from Walnut and Oak to angled legs or straight, so there's something to suit every style and preference. 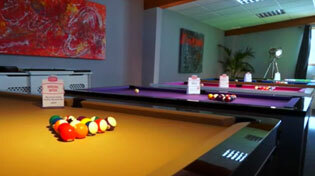 Every table in the Signature Luxury Pool Tables range comes backed by a 12 months manufacturer's guarantee. This covers any manufacturing defects to the table, and top if supplied.